The dirt on dog digging. How do we stop dog digging? There is no clear cut answer I'm afraid, but we can help deflect your pets energy into other positive directions. 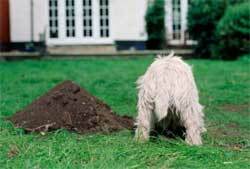 Perhaps it's better to see why dog digging is such attractive hobby to your pet in the first place, and find answers within them. A good example are the Terriers, that have been bred use digging for hunting purposes. Some dogs use the natural digging behavior as a means of climate control. A hole in the yard provides a cool environment to lay on a hot summer's day. A dogs natural instinct to have a protected area. Since dog digging is a natural behavior for dogs, watching its owner gardening only enhances its desire to dig itself. Who doesn't associate dog digging for a bone. At one time this was an essential skill to possess for survival, burying food for later consumption. Pets without adequate social, intellectual, and physical stimulation often will focus on a different behavior to stimulate something that is lacking. A dog was separation anxiety often will try to dig under fences or gateways in order to have social interaction. Some dogs use digging behavior as a signal that its needs are not being met. 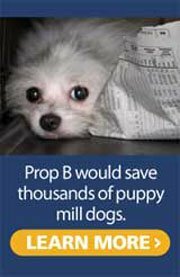 Solutions to this problem some people use are..
Burying chicken wire, rose thorns, metal sheeting, dog feces, invisible fencing, deterrent chemicals, paving there yard, concrete pads, plywood barriers, barbed wire, confining dogs crates or leads, dog runs, the list goes on and on. Some people even go to extremes. Filling a hole dug by the dog with a garden hose, and literally holding the animals head underwater. Now tell me, what are these people thinking???? You can no better cure a dog of its instinct to dig then you can train a fish not to swim, it's in them! Remember our goals, we want to set the dog up for success not failure. A good starting point is managing things within our power to hinder destructive dog digging. Deal with the basics. Most times this behavior is a sign of underlying problems that we can solve through a little common sense. Ask yourself, when was the last time your dogs need for physical activity was met? 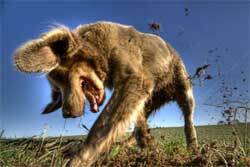 More often than not a dog that has penned up energy will release in the form of digging or other behaviors. Increasing its exercise time and frequency can eliminate desires for digging. Social anxieties may also be the culprit. A dog that can't interact with its human pack or other dogs gets a sense of insecurity. Again, get your dog out for interactive walks to meet new people and dogs. This can ease both its needs for socialization and physical exercise. Mental exercise in the form of training and games. Keeping you dogs mind active and fresh will help ease boredom and facilitate a better bond between you and your pet. Providing good chew toys for your pet when outside can relieve a little boredom and deter urges to dig. Dr. Ian Dunbar (a world renowned expert in dog behavior) came up with an excellent solution. His answer, let them dig! Dr. Dundar prescribes that it's a losing battle to change an inherent behavior in a dog, and it's not going help if a dogs chances for success are minimal to say the least. We want our pet to succeed. 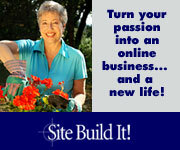 Instead, provide an appropriate place for your canine to dig in the form of a sandbox, or dig-box. Rather than fighting dog digging, "a basic instinct", convert it into a training exercise. Much as we used a dogs natural tendency to den in dog crate training , we can use the same basic techniques to show a dog where to dig. This idea is probably best for insistent diggers like Terriers, although I'm sure it can work with any breed. A simple solution that meets the needs of both party's involved. Your pet with have a place to be dog, and you have control over the area in which to do it.